Posted on October 1, 2010 by Jill B. Thinking outside the box when it comes to expanding the application capabilities of the cube-like second generation of Apple TVs may be easier than you think. The road to jailbreaking may actually be paved by the device’s own handy little micro USB port. For any of you who may not know, jailbreaking is basically another fancy word for hacking—and the term is often coupled with Apple products. It allows iPhone, iPad and other Apple device users the ability to read or write on what had been a locked and secured operating system. It gives you the user control of the nuts and bolts of the device, with the freedom to use any app you please and multitask in the use of several programs. 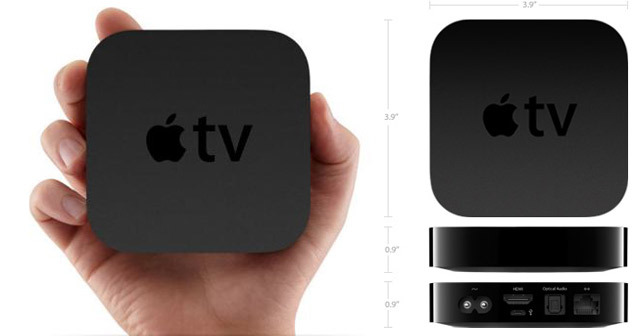 Apple TV, at its most basic design and function level, is a digital media receiver that streams content like YouTube, iTunes, Netflix and more in high definition format. It’s just under four inches square weighing a little more than half a pound. While hacking will undoubtedly void your warranty, it’s a sacrifice that can give you or other users maximum flexibility to add software to boost the device’s nearly non-existent browser functionality. So, back to the micro USB port, and the jailbreaking potential that lies within. If you plug in the cable of this mini USB and connect it to iTunes, you can end up restoring the device to its factory default software settings. So how exactly does the micro USB propel an actual jailbreak? This cable link means that jailbreakers have an avenue to load tools for the installation of apps from third parties. The next step is to locate the DFU (Device Firmware Upgrade) mode—not to be confused with recovery mode—to skirt the operating system to enable upgrades or downgrades. Knowing that hackers are busy toiling away, identifying the DFU mode may have happened as we speak. According to one article, if you decide to use the micro USB connection to help clean the device’s software slate, do not plug the power or HDMI cables in. If these connections are in place, the device may not be recognized by iTunes at all. While a widely available Apple TV jailbreak has not yet surfaced, the puzzle-breaking micro USB signals it may be only a matter of time, maybe even hours. Have you restored the Apple TV device’s software via the USB port? Speak up in our comment box. This entry was posted in Apple, Apple TV, Articles, USB Future and tagged Apple TV, Apple TV Jailbreak, Apple TV Jailbreaking, Micro USB, Micro USB Cable. Bookmark the permalink.